Rhino Drum – Imperial Systems, Inc.
Imperial Systems’ Rhino Drum is the first of its kind. 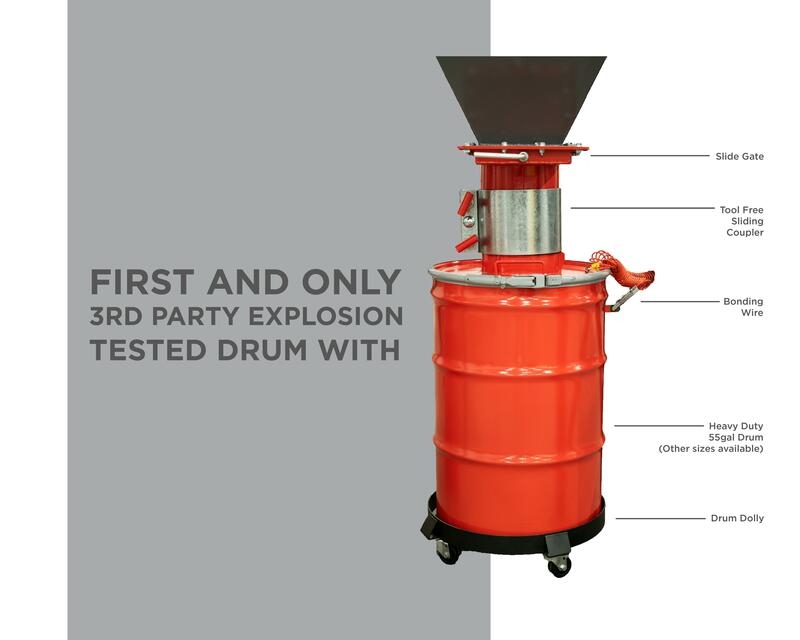 Where Flex Hose melts in the event of an explosion, the Rhino Drum’s metal-on-metal design can withstand the heat. A simplistic design with no moving parts, it is a cost-efficient alternative to an Airlock. The twist and lock design was developed with customers in mind, making barrel changeout easy. Patent pending. The Rhino Drum eliminates the need for an Airlock and is half the cost. With the Rhino Drum, there is no need for wiring, maintenance, a motor, starter, wipers, or chains.